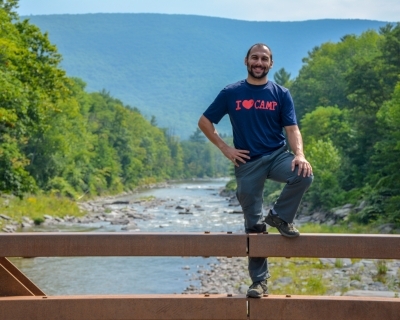 In between battling the commute or climbing the start-up & business community of Manhattan, Nick can be found pebble wrestling the boulders of carriage road, plugging gear along the Trapps Cliffs or trail running through the Catskill Mountains. Nick currently works as a Digital Marketing & Sales Director at Abrams Media, is a Start-up & Business consultant, photographer and founder of TimetoClimb.com. While at CleanEdison, an environmental workforce development startup, he worked with state & local governments, national trade associations and public utility boards to help see thousands of contractors, architects & engineers get trained & certified to meet new environmental & energy efficiency standards throughout the United States. He created Onyxeye Entertainment, an event planning & concert production company that ran 20 productions a month across NJ, PA & FL. Nick collaborated with youths, adolescents, and young adults to pursuit their passions in music & art while providing a safe haven for self-expression. He also championed the value & need for them to be actively involved in their communities. During his time at BrideClick, Nick oversaw the revenue and acquisition of new clients as the Sales Director and personally worked with tourism boards in North & Central America, the Caribbean, as well as state CVBS to develop digital ad campaigns which drove tourism dollars into local economies.